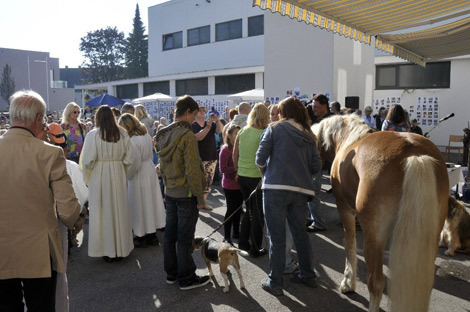 Hundreds of cats, dogs, hamsters and turtles joined Willi, the good-natured Haflinger stallion, and Kaa the python at the annual animal blessing in Austria marking World Animal Day at the weekend. 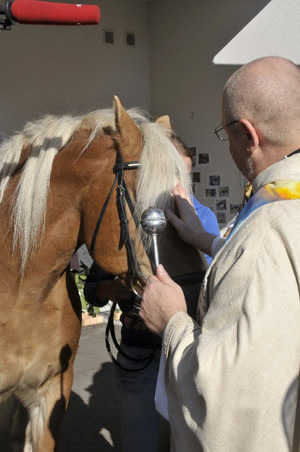 Parish priest Franz Zeiger blesses Willi, a Haflinger stallion. 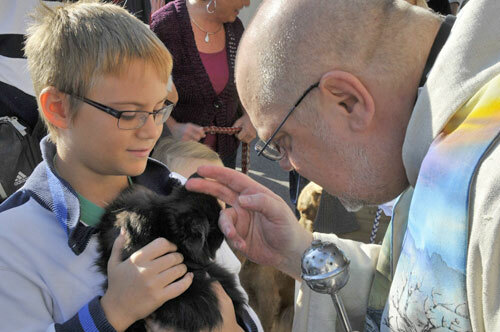 On Sunday, October 2, more than 350 people came to the Parish of St. Peter in Linz to have their pets blessed in a hearty and cheerful atmosphere in the bright sunshine on the church square. 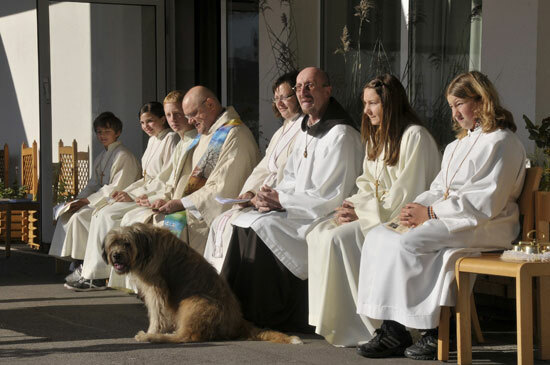 A long-time core audience that comes to the Animal Blessing every year joined the congregation, but there were also many "newcomers" this time. 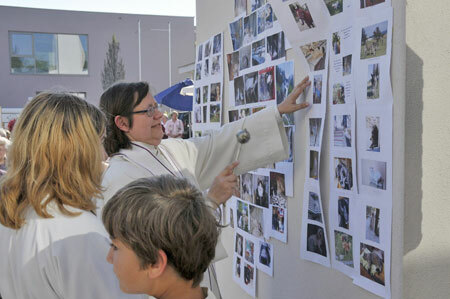 In addition, pictures of animals from around the world were sent to the parish once again this year in this way asking for a blessing for animals around the globe. 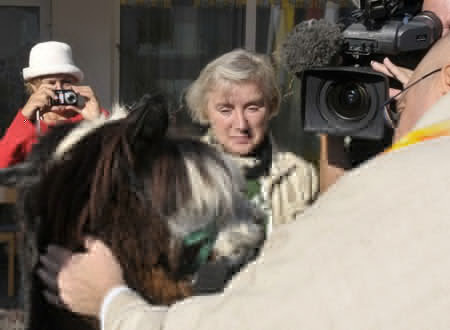 Many pictures were sent from countries in Europe, but also from New Zealand and the United States as in the past few years. New this year were many participants from South Africa. 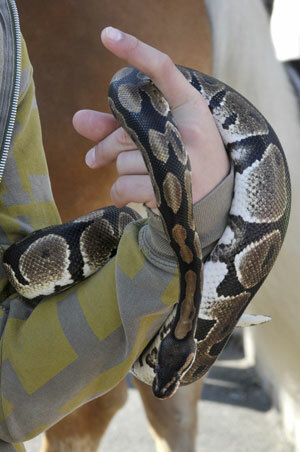 An incredible, record-breaking 1250 pictures were sent in. 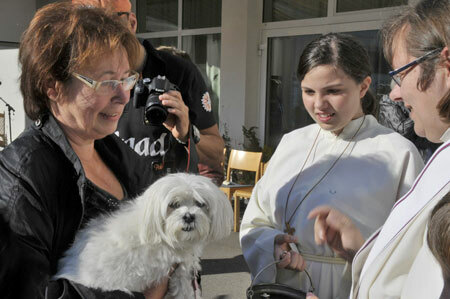 "I have not seen so many happy people for a long time," is how one person attending Mass summed it up. 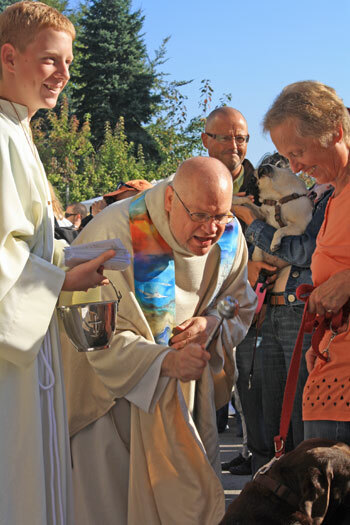 The blessing at the church in Linz takes place the day before World Animal Day, which marks the commemoration of Saint Francis of Assisi, the patron saint of animals. More than 3 million people visit the tomb of Saint Francis (1181-1226) each year, making him one of the most beloved saints of all time. 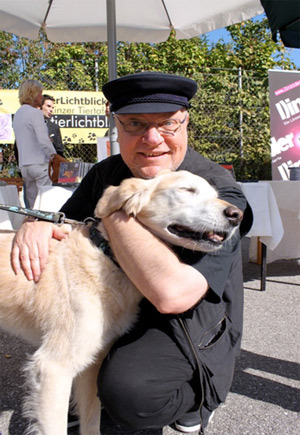 He called animals his brothers and sisters and expressed a deep gratitude for their being. 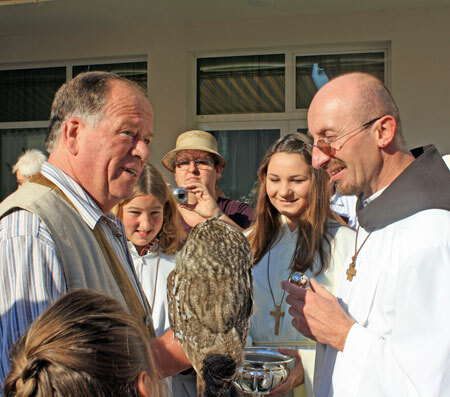 The blessing was issued by Franz Zeiger, Parish Priest of Linz-St. Peter, who was joined by Komminister Louise Behrendt from Växjö, Pastor of the Swedish State Church, who came from Sweden especially because she wants to establish the Animal Blessing in her home country according Linz' model, and Brother Philemon Kleinöder, from Bavaria came, as always, with his dog, Angelo. 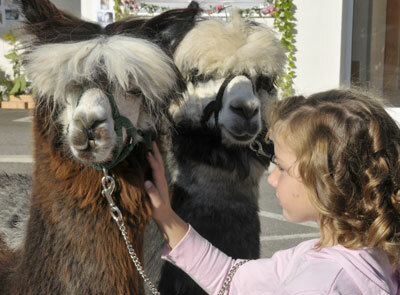 Angelo conquered all of the children's hearts! 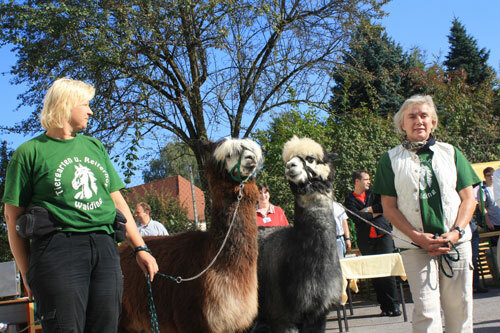 As well as hundreds of pets like dogs and cats, there were also guinea pigs, hamsters, rabbits and turtles, two alpacas from the zoo in Walding, Willi the Haflinger stallion, Kaa the python and a brown owl from the owl protection station in Osterkorn. 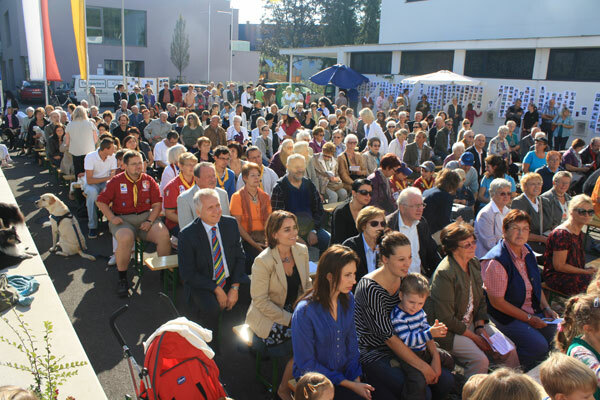 The musical framework was provided by the children of the "Villa Sonnenschein", the pre-school of the Parish of Linz-St. Peter. 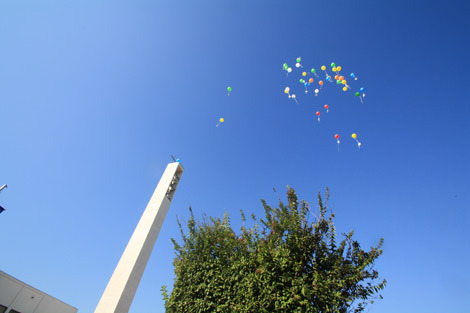 For the occasion of the 10th anniversary of the Animal Blessing there was a big celebration following the Mass there was a colorful children's program and a balloon start. 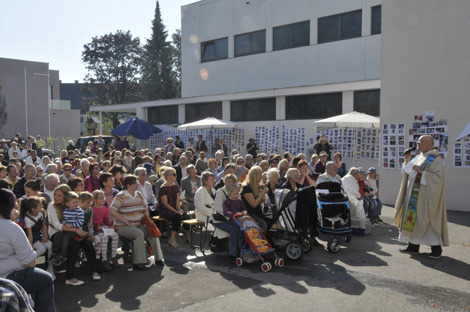 The entertainer and WWF-Ambassador Manuel Ortega led through the program in a congenial and humorous way. More pictures will be added here.